And from the earliest days of Rawhide up through time spent playing such cinematic icons as The Man With No Name in Sergio Leone's spaghetti westerns or Dirty Harry in Don Siegel's action-packed series along with his recent directorial masterpieces such as Mystic River, Letters from Iwo Jima and Million Dollar Baby, it's only appropriate to say that Clint Eastwood has been on one hell of a ride. Likewise, the ride has become a wholly encompassing cinematic one as well, finding Eastwood taking on various behind-the-scenes and on-camera roles as 2009 found the release of Invictus marking the legendary filmmaker’s twenty-ninth directorial feature and the thirty-fourth completed work he’s made for Warner Brothers in just three decades. 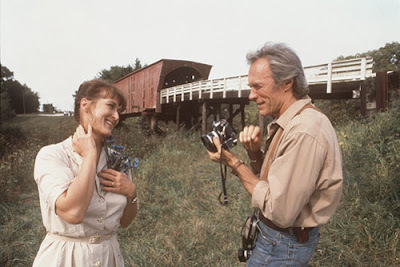 As one of our true auteurs Clint Eastwood's impact can be felt on a number of levels via his tough but tender portrayals in such romantic and platonic love stories like The Bridges of Madison County or Million Dollar Baby to his reinvention and reexamination of the western with Unforgiven or The Outlaw Josey Wales and through the haunting musical compositions he's developed at Warner Brothers' Eastwood Scoring Stage, which he helped save from extinction. 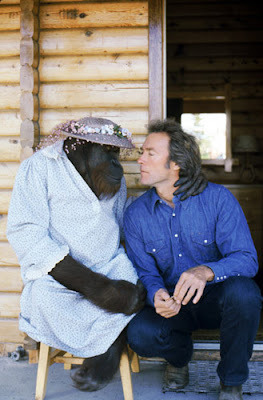 And although he humbly states that the gauge for choosing his material is whether it's interesting to him or he'd want to see the film himself, nonetheless certain patterns have emerged when defining just what makes an Eastwood Film which are explored throughout this career-encompassing, fascinating documentary. Thematically and plot-wise, he's drawn to tales of moral ambiguity and issues concerning redemption, sins of the past, and the effect of violence on both the victims and perpetrators. As he's able to surround himself with the best and the brightest of actors whom-- as in the case of Mystic River called Eastwood willing to play any part--it's only fitting that he's also attracted to ensemble pieces about makeshift families, outsiders, and those whose culture, history, and points-of-view we often don't often experience much in life let alone onscreen. 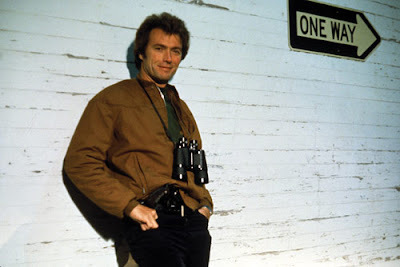 Stating that “heroism gets tiring,” some of Eastwood’s finest work centers on antiheroes as he questions onscreen the values of the same male characters he portrayed (in Dirty Harry etc.) that made him a star. To this end, as Schickel indicates, unlike the pistols that are never empty in the vintage westerns or Siegel police dramas, in Eastwood’s movies, guns are always running out of bullets and in some cases are even replaced by a human finger mimicking the click of a trigger a la Mystic River’s highly discussed conclusion. Fascinated by resurrections of characters given second chances at life (which Schickel attributes to his cinematic start in the Sergio Leone westerns) or with other individuals whom they’ve disappointed in the past, Eastwood is also especially preoccupied with showing what life is like on both sides of a gun or situation, which is perhaps best represented by this very instinctive curiosity which led him to film Flags of Our Fathers and Letters from Iwo Jima back-to-back. Yet as his diverse filmography and Schickel's succinct film The Eastwood Factor reveals-- aside from a certain tonal darkness and gravitation to examining violence whether it's towards oneself (as in the case of Bird) or others-- he's a man who consistently surprises in his choice of material, moving away from crime movies, westerns and war films from time to time to embrace romances, character pieces, and surprising comedies including Every Which Way But Loose which marked his biggest hit to date. 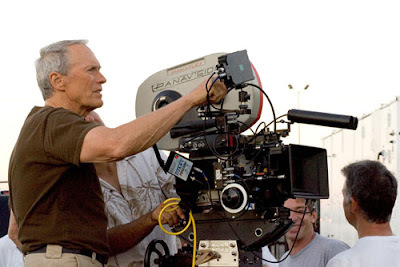 And while it's exceedingly tough to imagine the cinematic landscape without Eastwood the actor, as a film buff who came of age in his auteur era of the '90s, it's downright impossible to imagine the medium of film without his directorial works. For, despite the fact that John Malkovich's chilling turn in the political assassination thriller In the Line of Fire has remained seared in my memory for more than a decade, I can't honestly tell you if that was the first film I saw that featured Eastwood the performer. Yet-- all guesses aside-- I distinctly recall the first three I saw that he helmed on his own that truly captivated from a cinematic standpoint. The riveting, underrated A Perfect World, the flawed but gorgeous Madison County featuring a radiant Meryl Streep, and the exceptionally atmospheric true crime endeavor Midnight in the Garden of Good and Evil all made a major impression on me before I ever linked them up with The Man With No Name or the one who in his own subtle way had already gone ahead and made my day. Moreover, even after I consciously and studiously took in his legendary performances, I realized that I'm still unable to separate Eastwood the actor from the filmmaker, other than to say that the Oscar winning director has consistently proved to viewers and critics alike that although we may be able to guess the type of “personality” he'll play in a given film, his work as a director is indefinable, endlessly fascinating, and as impossible to predict as it is to forget. And despite the fact that it avoids some titles altogether and glosses over others which aren’t contained in the Warner Brothers catalog, The Eastwood Factor works best in giving us an overview or snapshot of the man’s work, which is sure to make you want to explore the works in greater detail to give all the consideration they’re due since it’s impossible to go that in-depth in just eighty-eight minutes. An excellent companion piece to the recent WB box set release that boasted a whopping thirty-five films, Schickel’s documentary is sure to be of great interest to Eastwood enthusiasts, film buffs, and those with a keen interest in humanities and history as a look back at dozens of these movies makes you astutely aware of how much Eastwood’s work reflects our changing times. And in the words of Eastwood who's still making a breakneck number of movies in his own unique way and whose wish it is that this “'retrospective' will be out of date almost as soon as it's published,” it’s safe to say that the man who still drives himself everywhere (with the exception of the Oscars) and has an endless hunger for creative cinematic expression has signed on for the whole ride, with no plans of stopping until he yells cut.